On a sunny Autumn day of 1999, as I walked into my dad’s house, he was standing in the middle of the living room facing the main entrance of his home. I greeted him, “Hello Dad!” he replied, “Hello Rox, is that you? I answered, “Yes dad,” he then said, “I cannot see you clearly. I see you as a shadow, so I can only recognize your voice.” I did not take his comments seriously, not that I didn’t care. I was just not alarmed about the situation. As days continued to go on, he started mentioning to my mother that he would get very thirsty; it was an uncontrollable thirst that he needed to drink lots of water immediately. If he did not have water at hand, he felt like stifling. Meanwhile, he was drastically losing weight and his skin looked very dry. Again, we did not take it into consideration at that time. After noticing that the blurry vision, unquenchable thirst, and drastic weight loss were consistent, he decided to have a health checkup. Once the doctor heard my dad’s symptoms, his answer was “all symptoms indicate that you are diabetic,” however, "we need to do some test to confirm our suspicion meanwhile you need to watch your diet." Once his blood results came in, my dad was diagnosed with Type 2 Diabetes with increasing high blood glucose of 280 mg/dl while a normal range is between 70 mg/dl - 120 mg/dl. Several months later, probably less than three months, my mother started sleeping and always looked tired. Once she was up in the morning, she would be awake for only two to three hours, suddenly returning to sleep again. Once my sisters noticed her behavior, they became suspicious and started questioning it. She had the exact symptoms my dad had encountered months earlier except for blurry vision. She would get rid of her thirst by drinking cold sweet drinks like Coca-Cola and Pepsi. But, her main symptom was the constant sleeping. Suddenly, she felt really sick and was rushed to the hospital. Having completed some blood test, her blood (glucose) was even higher than what my father's was when he was diagnosed. She was now diagnosed with Type 2 Diabetes with a 480 mg/dl. high. Neither of my parents' ancestors were diabetics, so for both of my parents to have been diagnosed with the same illness at the same time was very unusual. My father took his diagnosed seriously by following his doctor’s recommendations. He watched his diet and was always cautious of his health. Couple months later, he recovered his vision completely. On the other hand, my dear mother did not realize, it was a sickness that needed careful attention on her behalf. She would follow her doctor’s recommendation yes, but never watched her diet. While both of my parents suffer from Type 2 diabetes, it was only then we (the children) became aware what Diabetes is all about. We learned that it was an illness that can affect anyone. 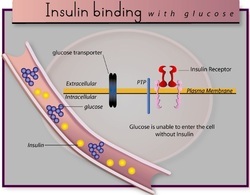 Diabetes is caused by the pancreas, which produces sufficient insulin, a hormone that is needed to convert sugar and starches into energy for the body to function efficiently. It revolves around blood glucose (blood sugar), which needs to be controlled at all times. 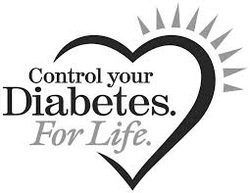 If not well taken care of, it can lead to health deterioration caused by hyperglycemia and hypoglycemia. Hyperglycemia is when the blood glucose (sugar) is too high, which can harm the eyes, kidneys, nerves, and blood vessels. On the other hand, when the blood gets too low it is called Hypoglycemia, which causes confusion, dizziness, and fainting. While all these disorders were an eye opening for my entire family (brothers and sisters), what stroked us the most, was being told that even a little tiny bit of distresses, worries or fatigue can triggered high blood glucose. Because cuts and sores take longer time to heal with diabetes, it can lead to amputations. Even more, diabetes can cause coma, heart attack, blindness, and even death. On December of 2004, my mother was rushed to a hospital for a fever that she had developed from a cough a couples weeks earlier. At that time, she was diagnosed with a simple bacterial cough and was sent home with a treatment. Throughout the month of December, my mom's symptoms worsened along with intensive chills in the body as her weakening immune system progress. She continued to have high fever, intensive cough, and chest pain. Her treatment gave her no relief. She constantly asked for cold water to hydrate herself. Keep in mind, my mother suffered from arthritis, an inflammatory illness in the joint that causes severe pain, which she had developed at an early age as well. In January of 2005, she was taken back to the doctor and was diagnosed with severe pneumonia. She was admitted immediately into intensive care. While having pneumonia, her blood sugar was like a roller coaster high and low. It never got close to a stable level. As you may recall what hyperglycemia and hypoglycemia can do to a human's body, my mother suffered intensively with these effects for a straight full month with no relief whatsoever. While she lived in Venezuela and I was already living in the United States, calling her was not even an option for me, due to the fact that crying can trigger an increase of high blood sugar. On January 13, two days after being hospitalized, my mother Ann Jocintho passed away from complication of pneumonia along with diabetes and arthritis pain. My last conversation with her was on December 25, 2004, wishing her a " Happy Christmas." To this day, I cannot even imagine the pain she went through. I cannot stop thinking of all sicknesses and diseases that exist in today’s world, which continue to take many lives. As I type my story, my father is currently having heart failure. He suffered a minor heart attack two days before this past Christmas 2013, and was released from the hospital on Christmas Day. Even though the heart attack was minor, it was severe enough to damage part of his heart enabling it not to function efficiently. According to his doctor, he is required to get a Coronary Bypass Surgery as soon as possible. At this point, they are unable to proceed with the surgery due to his high blood glucose level. It is at a constant 400 mg/dl level high, which shows no signs of dropping. Doctors have not confirmed what might have caused the heart attack, but as far as we know, it has to do with diabetes.